If you are looking for something more simplistic to finish off your race day look with a flare, look no further than this stylish headpiece. 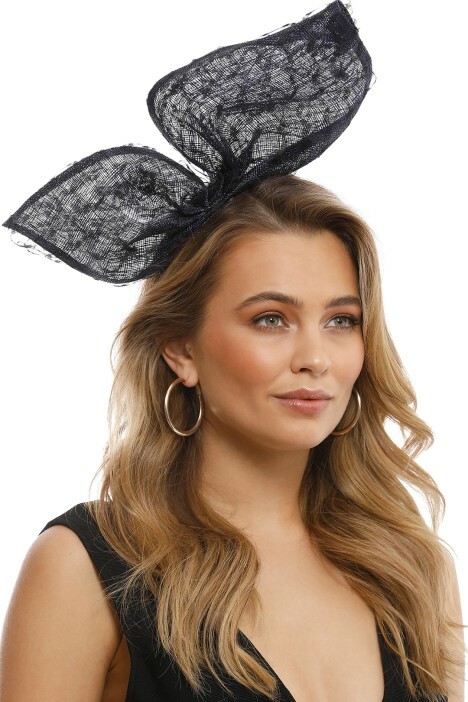 Perfect to finish off your metallic mini dress, your floral midi dress, or even a stylish little black dress, this headpiece is demure enough to hire for a night out at a cocktail party! For a touch of glamour, rent a simple glitter pod clutch and a matching statement silver ring. For more style tips and tricks for your race day, check out our Race Day Ready: How to Style Lace for Autumn blog post!